Steve Irwin, better known as The Crocodile Hunter, was a rather passionate animal expert who died tragically during a shoot back in 2006. At times he seemed a little too crazy to be real, but he was totally the real thing. His genuine passion for wildlife and his willingness to literally go to the ends of the earth to learn more about them and share that information with people around the world. 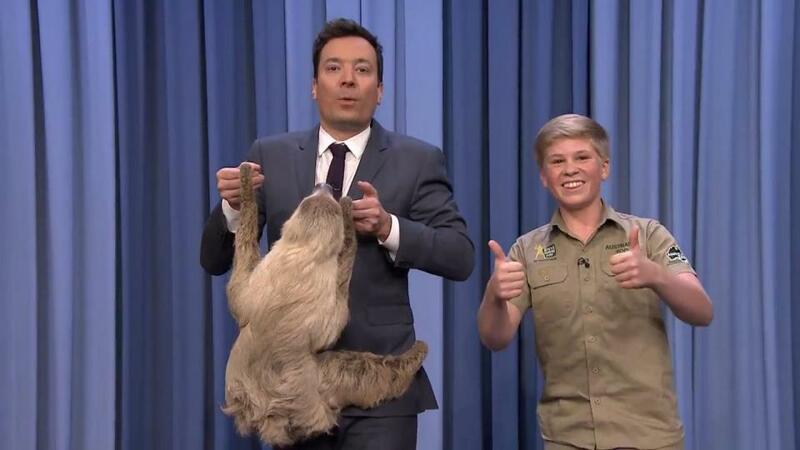 So I was a little surprised to see his son Robert Irwin pop up on TV recently, but in a very good way. I had no doubt that the Irwin family would carry on their father's legacy and so i was really nice to see precisely that happening on The Tonight Show with Jimmy Fallon.